The Seattle Reign FC continued their dominance of the Houston Dash Saturday afternoon with a 2-0 win at BBVA Compass Stadium in Houston, in front of a crowd of 5,312. Houston is 9-0-0 all-time vs. the Dash. It’s the first road win of the season for Seattle. The Reign got on the board first after forward Megan Rapinoe‘s shot took a lucky bounce off Dash defender Cari Roccaro for an own goal in the 30th minute. Forward Katie Johnson doubled the score in the 64th minute. Johnson entered the match in the 24th minute after Beverly Yanez left with a cut on her knee that needed stitches. At the end of the game, Dash forward Rachel Daly had to be treated for heat illness, the team said. Her condition improved and she was taken to a local hospital. She was released later that evening, the Dash said. Daly later tweeted an update saying she was “doing better” and that it was a “frightening experience.” She thanked her teammates, staff and the Seattle Reign for their help after she fell ill. Temperatures at kickoff in Houston were above 90 degrees with over 50% humidity. Following the game, the NWSL issued the following statement. Match ends, Houston Dash 0, Seattle Reign 2. Second Half ends, Houston Dash 0, Seattle Reign 2. Attempt saved. Rachel Daly (Houston Dash) left footed shot from outside the box is saved in the centre of the goal. Attempt blocked. Rachel Daly (Houston Dash) left footed shot from outside the box is blocked. Assisted by Andressinha. Andressinha (Houston Dash) hits the left post with a right footed shot from the right side of the six yard box. Assisted by Janine Beckie with a cross. Corner, Houston Dash. Conceded by Haley Kopmeyer. Attempt saved. Janine Beckie (Houston Dash) right footed shot from the right side of the box is saved in the top centre of the goal. Assisted by Cambria Privett with a headed pass. Attempt blocked. Poliana (Houston Dash) header from the centre of the box is blocked. Assisted by Janine Beckie with a cross. Attempt missed. Andressinha (Houston Dash) right footed shot from the right side of the box is too high. Assisted by Janine Beckie. Attempt missed. Lindsay Elston (Seattle Reign) right footed shot from the right side of the box is close, but misses to the left. Assisted by Katie Johnson. Attempt saved. Poliana (Houston Dash) right footed shot from outside the box is saved in the bottom left corner. Assisted by Amber Brooks. Substitution, Houston Dash. Poliana replaces Kealia Ohai. Attempt missed. Kealia Ohai (Houston Dash) right footed shot from the right side of the box is high and wide to the right. Assisted by Sarah Hagen. Attempt blocked. Camille Levin (Houston Dash) right footed shot from the right side of the box is blocked. Assisted by Kealia Ohai. Attempt blocked. Camille Levin (Houston Dash) right footed shot from outside the box is blocked. Attempt saved. Andressinha (Houston Dash) right footed shot from outside the box is saved in the centre of the goal. Attempt missed. Kealia Ohai (Houston Dash) right footed shot from a difficult angle on the right misses to the left. Attempt saved. Kealia Ohai (Houston Dash) right footed shot from a difficult angle on the right is saved in the bottom right corner. Assisted by Rachel Daly with a through ball. Goal! Houston Dash 0, Seattle Reign 2. Katie Johnson (Seattle Reign) left footed shot from the centre of the box to the high centre of the goal. Assisted by Nahomi Kawasumi. Attempt missed. Jessica Fishlock (Seattle Reign) right footed shot from outside the box is just a bit too high. Assisted by Megan Rapinoe. Attempt saved. Janine Beckie (Houston Dash) left footed shot from the centre of the box is saved in the centre of the goal. Assisted by Nichelle Prince. Attempt missed. Amber Brooks (Houston Dash) left footed shot from outside the box is high and wide to the left. Corner, Houston Dash. Conceded by Carson Pickett. Offside, Seattle Reign. Jessica Fishlock tries a through ball, but Nahomi Kawasumi is caught offside. Nichelle Prince (Houston Dash) hits the left post with a right footed shot from outside the box. Assisted by Denise O'Sullivan. Corner, Seattle Reign. Conceded by Rachel Daly. Attempt missed. Rumi Utsugi (Seattle Reign) left footed shot from outside the box is high and wide to the right. Assisted by Jessica Fishlock. Attempt missed. Katie Johnson (Seattle Reign) right footed shot from the left side of the box is close, but misses to the left. Assisted by Nahomi Kawasumi. Delay in match Camille Levin (Houston Dash) because of an injury. Attempt saved. Nahomi Kawasumi (Seattle Reign) right footed shot from the right side of the box is saved in the top centre of the goal. Assisted by Megan Rapinoe. Attempt saved. Kealia Ohai (Houston Dash) right footed shot from the left side of the box is saved in the centre of the goal. Assisted by Amber Brooks with a headed pass. Attempt saved. Kealia Ohai (Houston Dash) right footed shot from the right side of the box is saved in the bottom left corner. Assisted by Andressinha with a through ball. Own Goal by Cari Roccaro, Houston Dash. Houston Dash 0, Seattle Reign 1. Nichelle Prince (Houston Dash) hits the bar with a right footed shot from the right side of the box. Assisted by Andressinha with a through ball. Substitution, Seattle Reign. Katie Johnson replaces Beverly Yanez because of an injury. Attempt blocked. Amber Brooks (Houston Dash) right footed shot from the centre of the box is blocked. Attempt missed. Christine Nairn (Seattle Reign) right footed shot from the centre of the box misses to the left. Assisted by Rebekah Stott. Attempt missed. Janine Beckie (Houston Dash) right footed shot from the centre of the box is close, but misses to the right. Assisted by Andressinha with a through ball. Attempt missed. Beverly Yanez (Seattle Reign) left footed shot from the centre of the box is just a bit too high. Assisted by Megan Rapinoe. Attempt blocked. 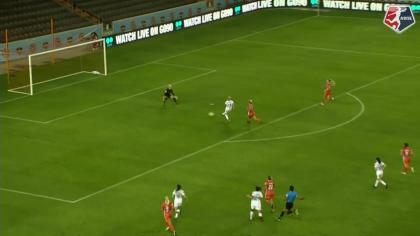 Kealia Ohai (Houston Dash) right footed shot from outside the box is blocked. 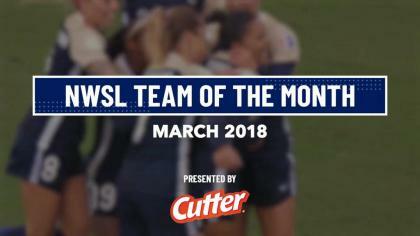 Assisted by Morgan Brian. Attempt blocked. Rachel Daly (Houston Dash) header from the centre of the box is blocked. Assisted by Cambria Privett with a headed pass. Attempt missed. Janine Beckie (Houston Dash) right footed shot from the centre of the box is high and wide to the right. Assisted by Kealia Ohai.